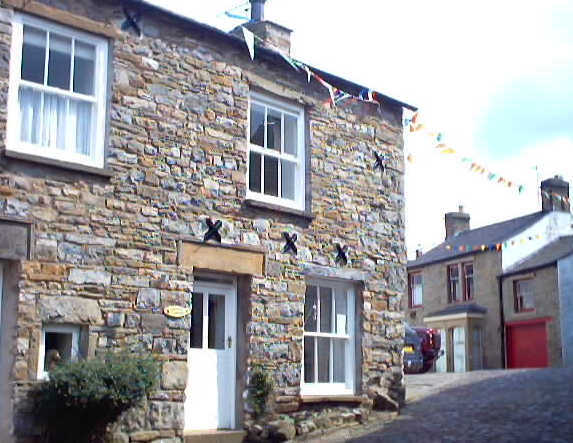 Cobble Cottage is located in the beautiful village of Dent, in the Yorkshire Dales National Park. Dentdale is regarded as one of the most beautiful dales in the Yorkshire Dales National Park. Dent's tea-rooms and pubs offer quite a choice for eating out, or you can just enjoy a quiet cup of tea, or one of the Dent brewed beers.There are several shops in Dent plus a bus service to and from Sedbergh, Oxenholme station and Kendal. Cobble Cottage is a charming semi-detached cottage. It was built around 1800 and is in the very centre of Dent, opposite The Sun Inn. It sleeps four people, and we allow one well-behaved dog. No smoking is allowed in the cottage. 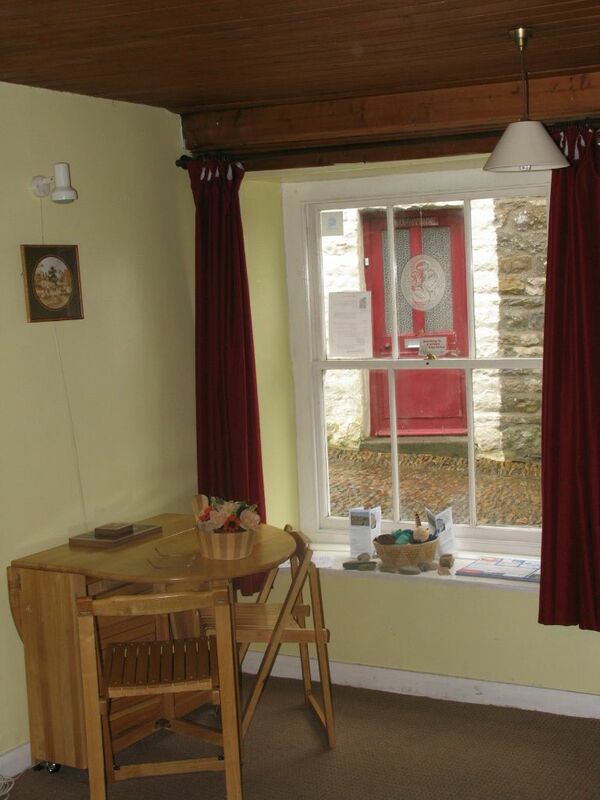 Storage Heaters are situated throughout the cottage. 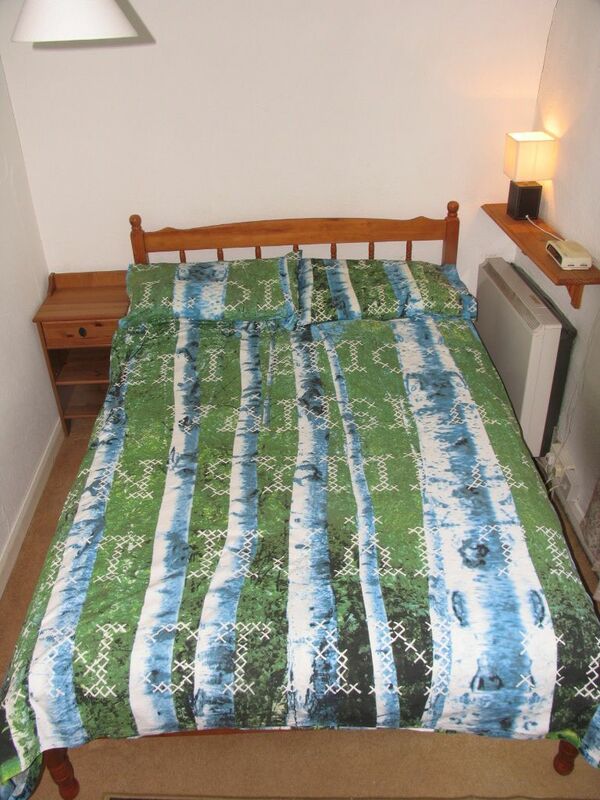 The heating by storage heaters and use of water are included in the rent. Cobble Cottage's ground floor consists of a combined dining-sitting room with a kitchenette to the side. It seats up to 4 people; having a dining tale to also accommodate that number of guests. The kitchenette is fully equipped and suitable for family cooking. Comfortable seating for 4 people with a television with a built-in DVD player and a video player. Other forms of entertainment include CD and cassette players with radio and various board games and children's toys. There are also many books and magazines for guests to read. Dining table with four dining chairs. The table is a "Butterfly Table" that permits storage of the chairs within it to increase the floor area for board games and children's play. A full complement of pans, crockery, cutlery etc., tea and coffee making facilities, full sized cooker, microwave, washing machine and refrigerator with freezer compartment. Ample space for food storage in wall cupboards and in refrigerator for cool food stuffs. Additionally, there is an under-stairs cupboard for the storage of your clothing, boots and shoes and luggage. 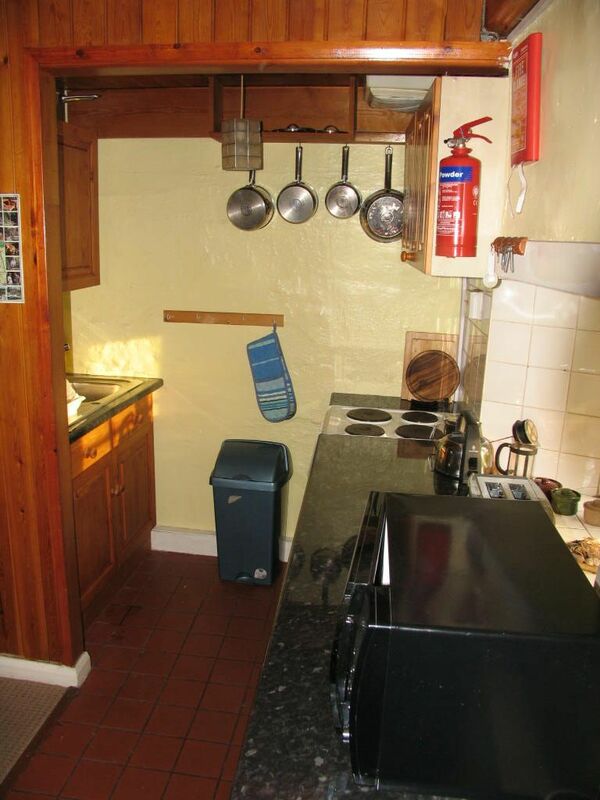 This cupboard has various toys and games in it for your convenience.